Nurses, moms, a doctor and lots of babies appear in this 1923 photo for check-up day at Presbyterian Hospital’s pediatric dispensary. Presbyterian later became part of what is now Rush University Medical Center. 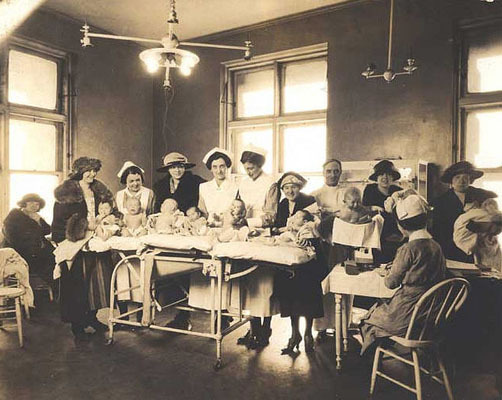 This entry was posted in Children, Rush Archives and tagged Chicago history, presbyterian hospital. Bookmark the permalink.